Apparently, I look like Steve Jobs. On Friday, I went out for a drink with a couple of colleagues. It was a pleasant affair, made all the more pleasant when we were joined by our respective partners. My wife managed to make room in her busy schedule between her pole fitness class and her evening of fencing to swing by for a quick drink. I was wearing a black long-sleeved t-shirt, and this seemed to hasten the comparison with Jobs. One of my colleagues remarked that, when he first joined the company a year ago, I came to do a presentation to him and to the other new starters. All, I’m told, were beside themselves from the moment I walked into the room by my similarity to the late co-founder, chairman and CEO of Apple. OK. Bald, bearded, greying and wearing a black t-shirt. That’s all it takes for you people? Or did you factor in my obvious charisma and far-sighted genius? 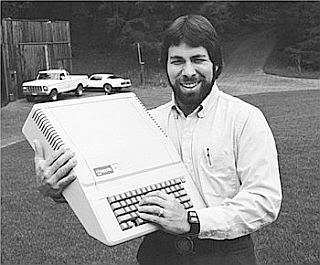 Personally, I’ve always seen myself as more of a Steve Wozniak kind of a guy…. Also, who does that thing with their thumb on their chin? 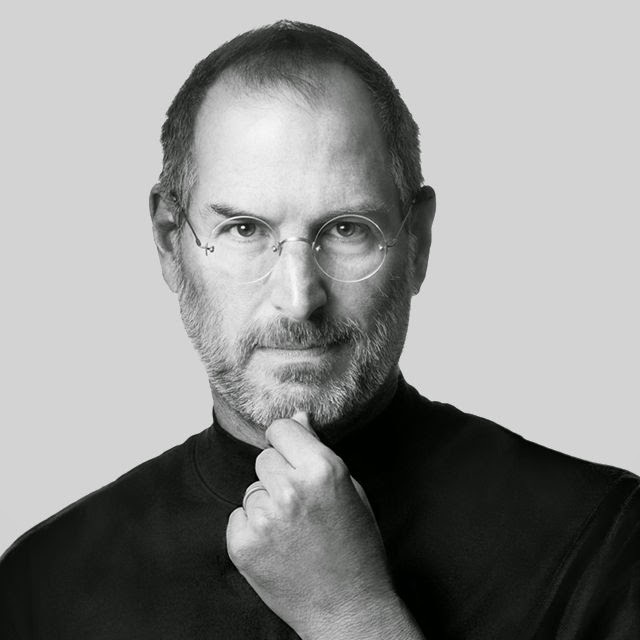 In the course of researching this post*, I discovered that Steve Jobs was 1m 88cm tall. For some reason, I imagined him to be a lot shorter than that. He was shorter than me by a good 10cm, but that's still pretty tall by almost anyone's standards. Also, poor Woz: destined to always be the Josh Gad to Jobs' Ashton Kutcher. * Yes, I research posts. Laugh it up! Had to do some math to convert the metric to feet & inches, and in my I-need-to-go-to-lunch state, I keyed in 1m 88cm as 1088 cm. I thought, "no way was Steve Jobs over 35 feet tall." Then I figured 1m is about 3ft, and still was thinking 1000 cm per m, and thought, "no way was Steve Jobs just over 3 feet tall.